Where do Indians spend their weekends? Which dishes are most ordered and when? You can tell a lot about our country by the way we move and the food we eat – we’ve uncovered some interesting trends that have made 2017 yet another year to remember. Timing is everything. 6:00 pm means a lot of things to different people in India: post-work movies, gym sessions, date night shenanigans — the works. 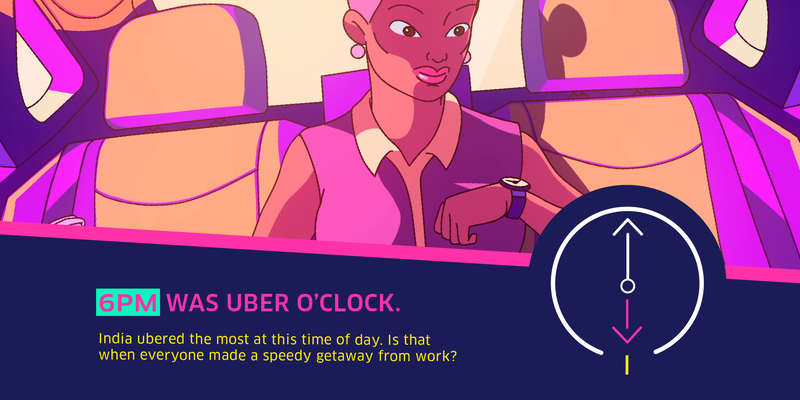 Indians took the most trips at this time of the day, suggesting that we knock off work by 6 pm before plotting a speedy escape. But Friday is when things get really hectic, as we found. 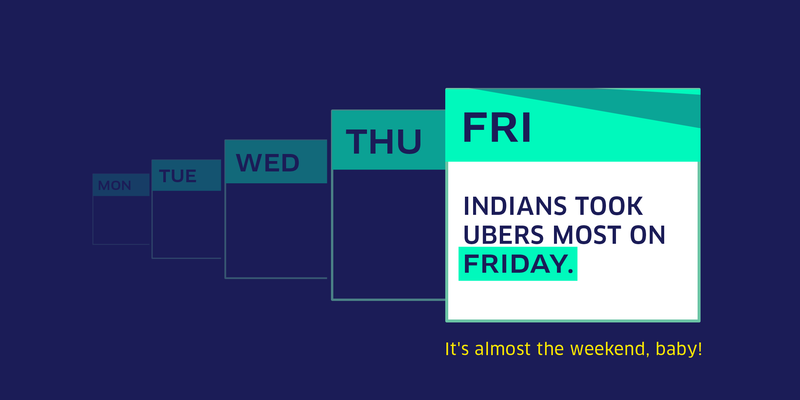 Indians definitely know how to max out their weekends. 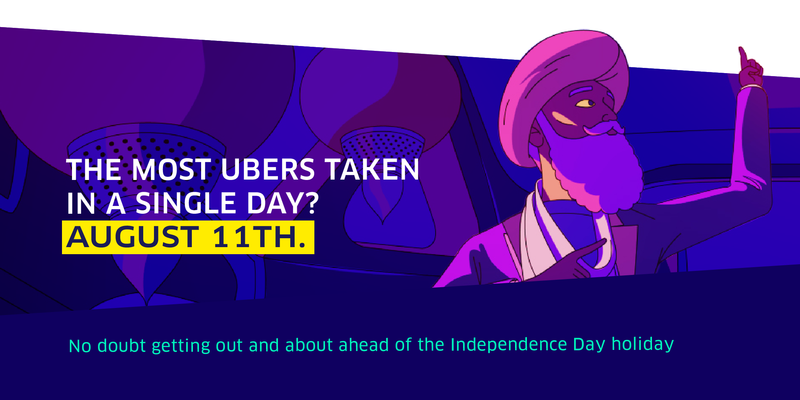 The most Ubers were taken on the 11th August, which also happens to be pre-Independence day Friday — coincidence? We’ll let you decide. 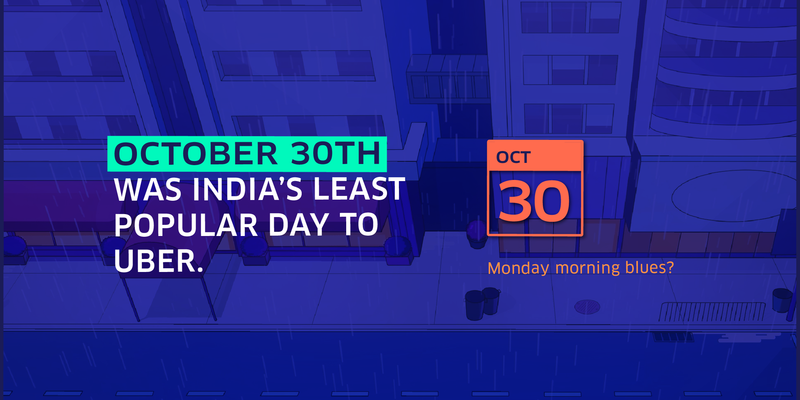 Monday, 30th of October was the least popular day to ride, which probably saw some of us suffering the Monday morning blues. Meanwhile, Uber Eats data showed how Indians take their snacks seriously. The most ordered dish on Uber Eats was Samosa Chole while the biggest date for food delivery orders was 18th June. Guess we all ordered in for the India vs. Pakistan ICC Champions Final? 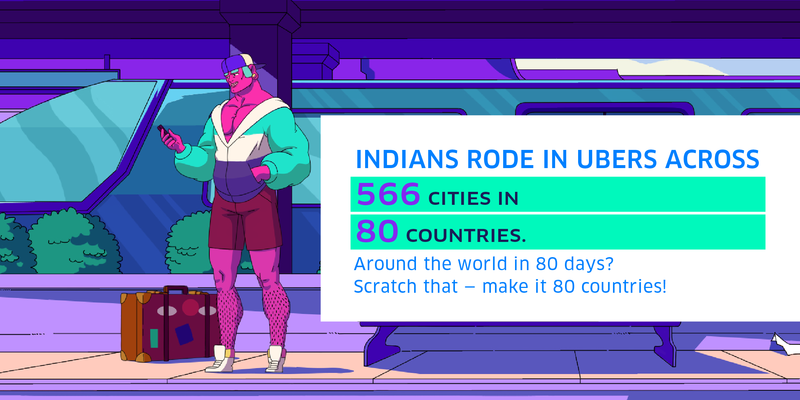 Wanderlust runs through a India’s veins, with Uber being used in 566 cities in 80 countries. 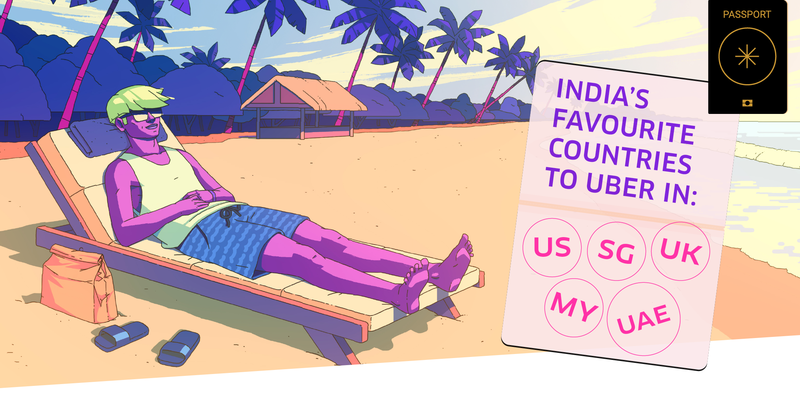 Popular countries to visit among Indian Uber users include USA, Singapore, UK, Malaysia, UAE, with USA coming out tops as the most popular holiday destination. 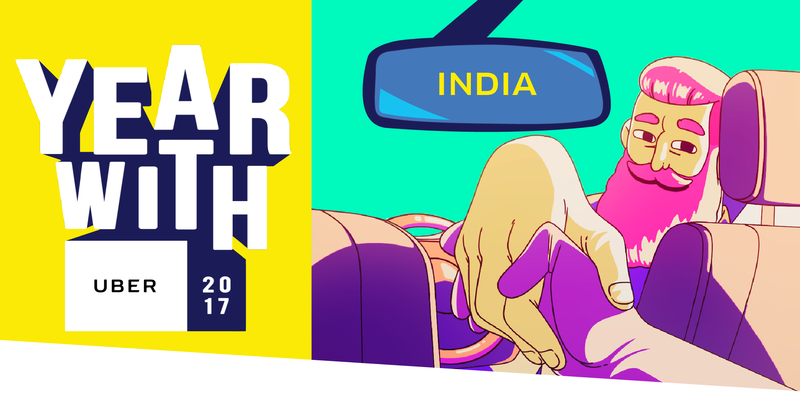 India also celebrated hosting 19 of the 156 simultaneous trips that constituted of Uber’s 5 billionth ride globally in May. Want to know more about how you moved in 2017? 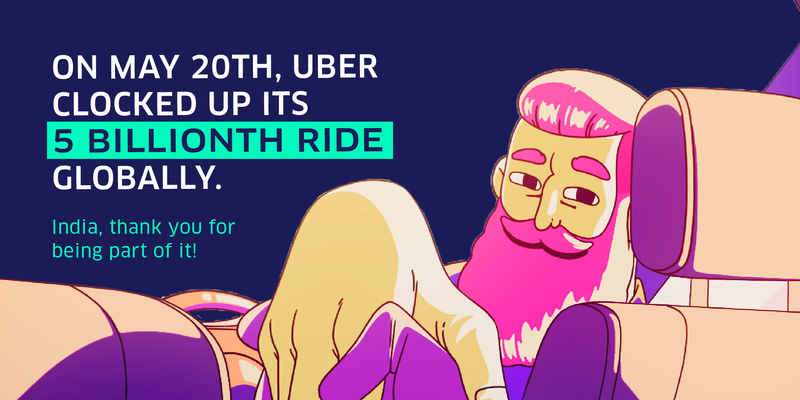 Take a look back at your own #YearWithUber here.